Most people shy away from publishing their own books because they think there’s too much work involved or they think they don’t know enough. But everyone has a book inside them and every person can make money writing a book. The most work is in the actual writing of your book if you use Amazon’s Kindle book store like I do. Once you go through the learning process it’s easy to get your book listed in Kindle. And once you get the book listed Amazon will market it for you. There’s nothing else that you have to do from then on. Although it does help to advertise the book yourself because if you merely rely on Amazon the sales will be mostly slow. But they will trickle in. When you decide to make money writing a book and use Kindle to do that you put some special advantages to work for your book’s success. Amazon doesn’t charge you a fee for listing your book. They collect their money when the book sells. You decide the price of each book and you can get up to 70% of that price every time one of your books sells on Kindle. Of course, the price you set must follow certain guidelines in order to be a success. You don’t want to charge too much for the information you publish. Amazon displays your book all over the world so you potentially have a very large number of customers. I’m in the Midwestern United States and my books have sold in Hong Kong, England, and Australia (to name a few of the places I’ve received book payments from). And you don’t have to concern yourself with how to attract visitors to your offer because Amazon already has a huge amount of traffic on a daily basis. Amazon takes care of collecting payments for your book sales. They handle the delivery of your sold books. They field any complaints and/or refunds too. Once you submit your book to Kindle your work is pretty much finished and you have a passive income stream from that point on if your book proves popular. As I stated above, you do need to learn how to submit your book to Kindle before you can start to make money writing a book. Your book has to be formatted in a specific way. And uploading it to the Kindle platform is a bit tricky at first. But you can find videos on YouTube that lead you through how to perform those tasks. And once you do learn the formatting you can design your own template to use toward writing future books. 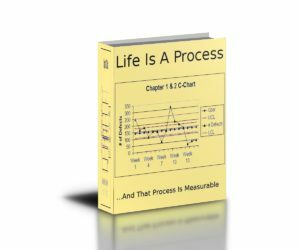 There are also software programs available that will format your book and guide you through the process of uploading it to Kindle. If you currently have a business online you most likely are publishing information about that business on a website. You can expand on that information and make money writing a book or a number of books. Take a look at your competition and see how they publish their information. Are they publishing books. If so you can mirror their methods to get your writing on the market. I recommend that you don’t rely exclusively on Amazon Kindle for all of your income though. The sales may not be so terrific for your book. And you certainly don’t want to just publish one book and quit. To make money writing a book you need to provide further information for your customers. If they have an interest in what you write they’ll want to see more from you. You can grow your business by creating training materials from the information in your books also. Training courses have a higher perceived value than a book and with your ongoing information creation you can start your own membership website. Charge a recurring fee for that and you have a residual income. All you need do is keep supplying fresh material for your members. Amazon Kindle gives everyone an opportunity to become an author. I use the platform as a tool though. It puts you in front of the world of customers who have an interest in the information you create – and an interest in products that are related to that information. You can build your list of buying customers from Kindle. You can advertise your other products or website locations by placing the links inside your books. That will help to steer visitors to your business. Kindle can be instrumental to the success of your business. And it all starts when you decide to make money writing a book.